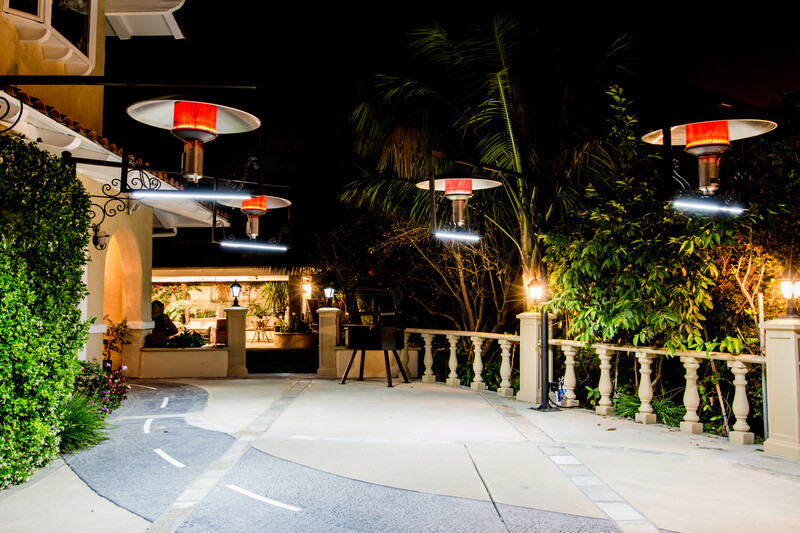 Swing Arm, the outdoor heater that is able to rotate 180° and ensure guests and customers are able to remain warm no matter where they’re sitting, is now live on Kickstarter and raising funds to bring the project to life. “Inevitably not everyone is happy with the outside climate…you will always have one person warm and one person cold,” says Michelle Castillo, VP of Marketing, “The ability to move the arm easily is key!" 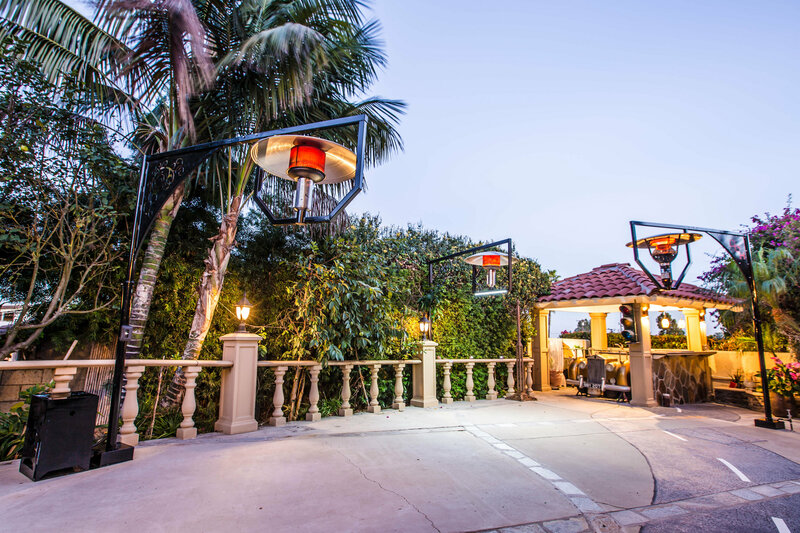 The idea for The Swing Arm came about after founder Terry Herft began noticing numerous restaurant employees and hosts of private parties struggle to move and position portable outdoor heaters into place. Herft wanted to create a permanent outdoor heatings solution that would provide heat to a larger area than 3 portable heaters would. This eliminates the daunting choice of positioning several portable heaters into an area that is safe for patrons and guests as well as eliminate the need to change out propane tanks in front of guests when they run out halfway through dinner. 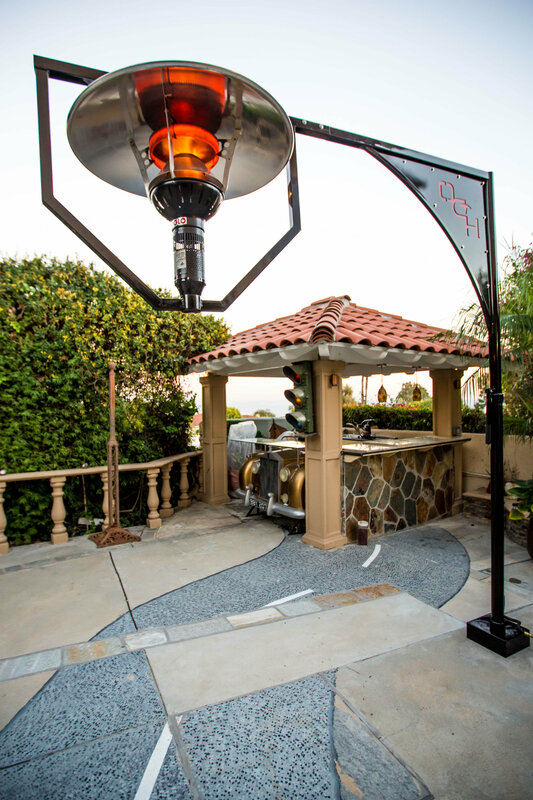 The Swing Arm heater is permanently bolted to the ground in a desired area that does not take up valuable space in user’s dining areas and or backyard. A single Swing Arm heater can replace 3 portable standup heaters. It stands 9.5 feet tall and has an arm that extends out 8 feet horizontally overhead with a 50,000 BTU – NG or 40,000 BTU – LP heater hanging from the end of the arm 6.8 feet above ground. The heater can cover an area as big as 225 square feet and the most important thing it can swing 180 degrees with an easy grip handle. If dining patrons or guests get too hot, employees or homeowners can move it and lock it into place in 45 degree increments. These outdoor heaters come with an electronic ignition and an option of a 4,6,8 or 12 hour timer. 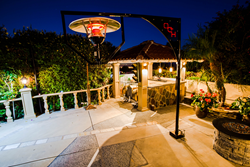 Outdoor Comfort heating LLC., saw a great need to simplify the world of outdoor heaters after watching numerous restaurant employees and hosts of private parties struggle to move and position portable outdoor heaters into place. Their fabrication shop is located in Los Osos, CA where they manufacture their product. The company is a proud supporter of American manufacturing and is proud to say that all of their fabrication products are made in America.